This week we have been working on another amazing 3D printed model, produced on our Massivit 1800. We were brought on board by the fabulous team at Look Print to produce a 3D printed model of the gorgeous MG MGA 1959 1600 used in the advertisement for Estee Lauders newest fragrance, Beautiful Belle. 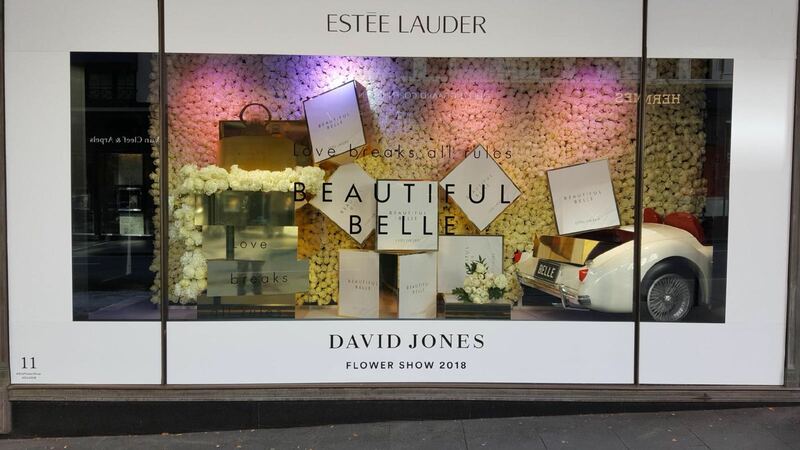 The 3D model is currently on display in one of David Jones Elizabeth Street iconic windows as part of the David Jones Spring Flower Show. This is the 33rd year for the Spring Flower Show with over 300,000 fresh flowers being used to dress the window displays. Catch a glimpse of the gorgeous displays in this short video from David Jones, available here. When it came to producing this beautiful print there were a number of factors to take into consideration, not the least was ensuring the print would be able to be manoeuvred inside the display window. Then came the regular challenges and potential hiccups that come with 3D printing design and production. Factors such as internal support, best angle to print from to ensure maximum detail, how to segment the model for optimum printing, one of these dilemmas being solved by a 3am brainwave from our Director Bruce. Once all of the finer details were ironed out it was smooth sailing with the finishing and painting. Everything from the hub cap to the exhaust have been printed and finished with meticulous detail creating this amazing result. 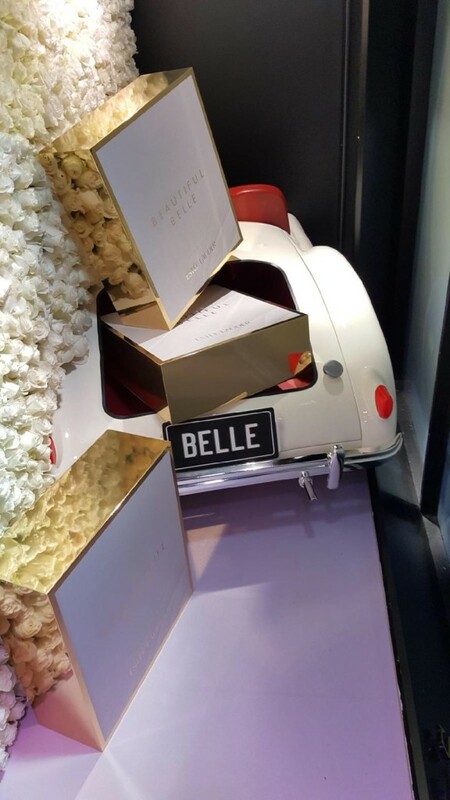 The Spring Flower Show was unveiled on Thursday 30th August, with our 3D printed car in window 11 at David Jones Elizabeth Street until Sunday September 9th. Be sure to tag us in your photos we can’t wait to hear what you all think of “Belle”. View the Estee Lauder advert here to see just how close our 3D print is to the real deal. Really glad a company like David Jones comes on board and pays for this sort of creative. Looks Fabulous.